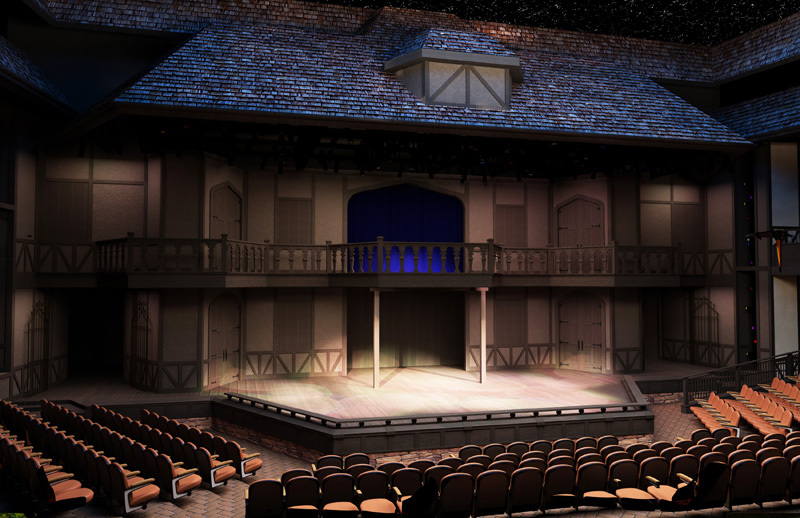 Eaton Architecture has been working with the Utah Shakespearean Festival since inception of this idea which blossomed in the mid-1990’s. Our efforts have included Budgeting, Programming, Planning and Conceptual pre-design, Design Development and Construction Documents. 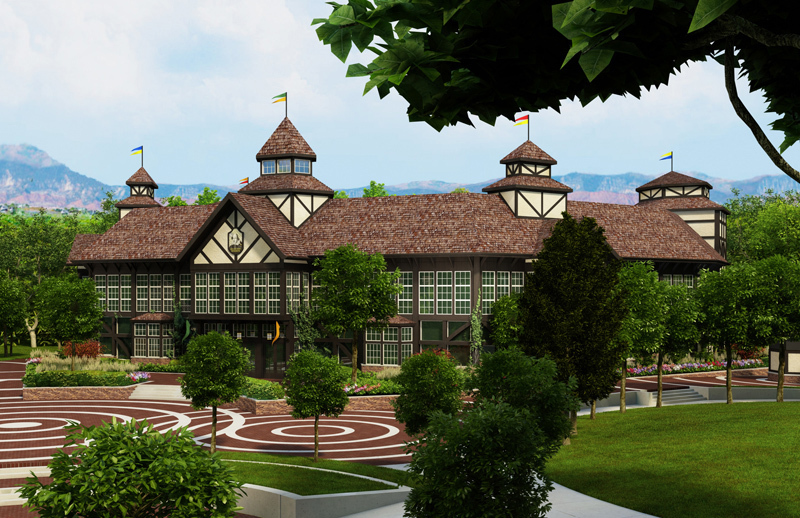 We have also worked to assist the Festival in keeping interest alive for the project by completing the architectural programming for several key elements of the project, including the Scenery Studio, the new Adams Theatre, the Costume Shop, and the Central Plant Facility. 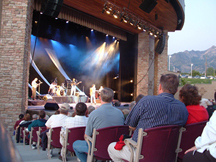 The State of Utah, a partner with the Utah Shakespearen Festival, selected Bob Eaton as the team leader for the final design processes to value engineer and begin construction administration of the production facility once fully funded for construction. 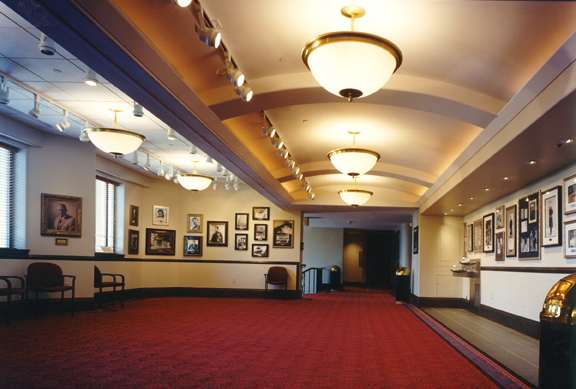 Remodeling and upgrades included sprung flooring system with improved load capacity for future stage equipment. The Orchestra pit cover replacement also includes sprung floor system and is easier to remove for future performances. The entry into the auditorium was enhanced with new vestibules and new lighting within the building lobby. Wheel chair accessibility into and within the audience chamber. 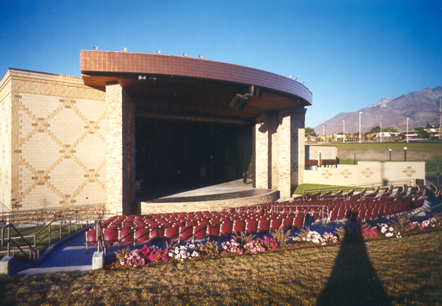 The award winning Sandy Amphitheater is a performing arts facility with 1,000 fixed exterior seats and capacity for an additional 1,500 people on grass seating areas. 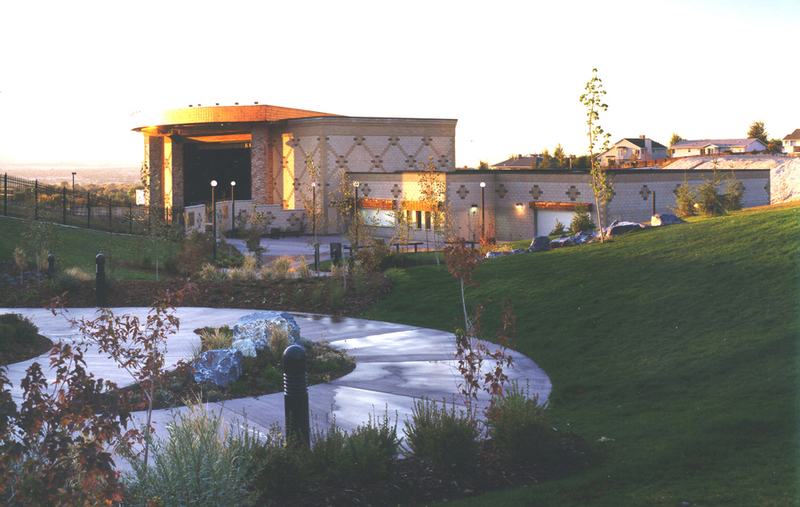 The building includes a full performance stage with theater sound, lighting and equipment systems, a delivery and storage area, a green room, dressing rooms, concessions and public toilet rooms. 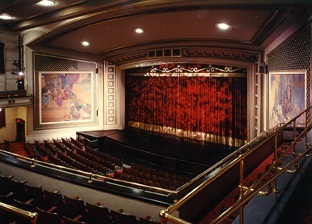 The original design included only 500 fixed seats, but due to the successful public demand the following year an additional 500 fixed seats were added. This building received the Sandy Project of the Year Award in 2000 and Robert Eaton was awarded the Architect of the Year from Sandy. 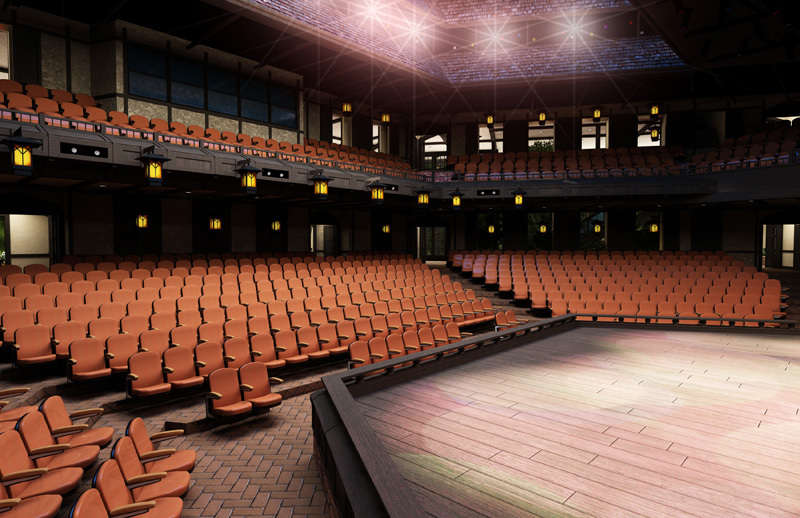 This building improvement now allows Kingsbury audiences to enjoy a restored seating slope with better views, new hard wood floor and carpet aisle installation. 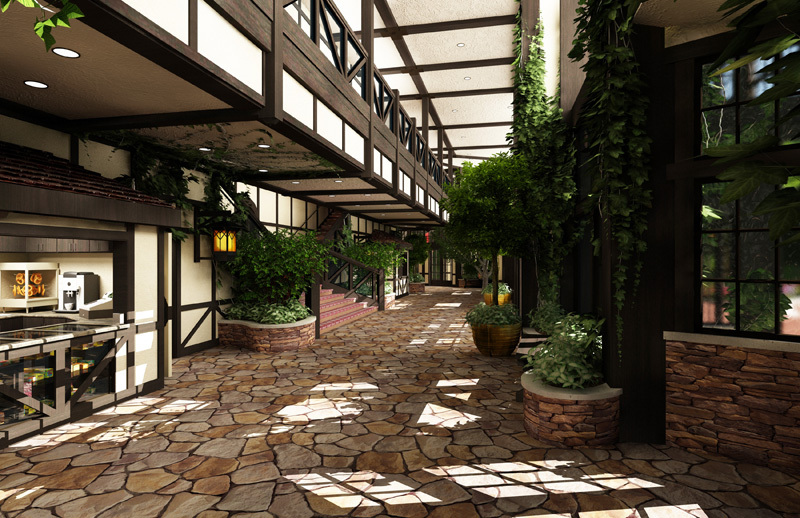 Over the years wear and tear had aged the interior and exterior throughout Kingsbury Hall. 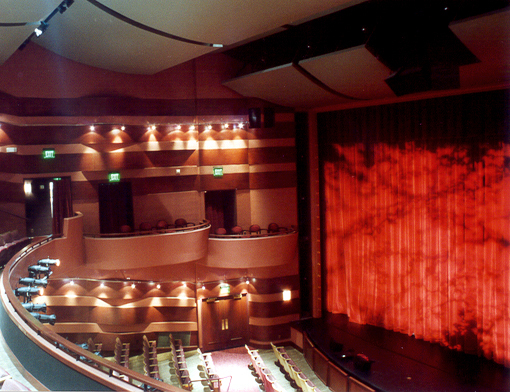 Our solution included the removal of the original stage and installation of new stage house and two levels of support facilities. 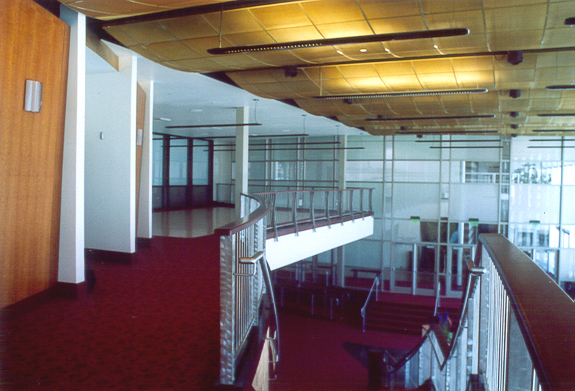 The existing auditorium and lobby spaces were seismically upgraded and re-plastered to match existing details. 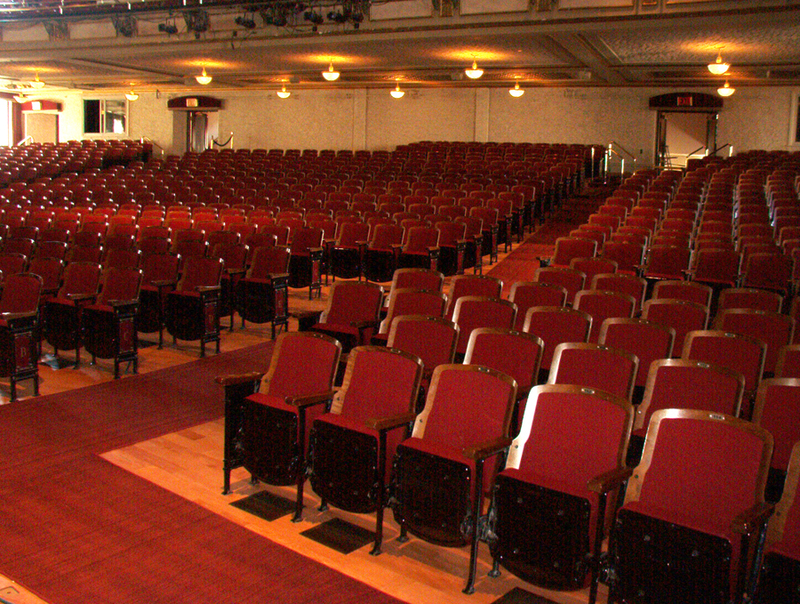 All house seating was repaired, repainted and re-cushioned. HVAC and electrical was analyzed and replaced to provide chilled air cooling for the first time to Kingsbury. Exterior work included new roofing and copper flashings. Terra-cotta masonry was assessed and repaired or replaced as required. At the building front, a plaza and new public entrance stairs was added to provide for ADA accessibility for the public. A photographic retrospective gallery was added to the upper level mezzanine to serve as interesting yet additional lobby area. 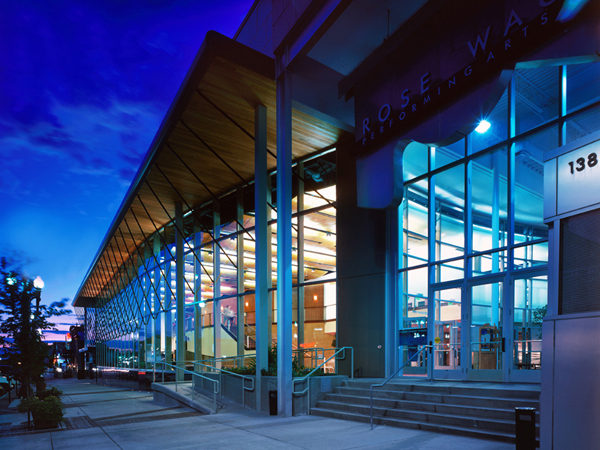 The Rose Wagner Project has been designed to include a new 500 seat theatre, lobby areas, offices, rehearsal rooms, toilet rooms, dressing rooms, storage areas, ticket distribution office and concessions for the building. 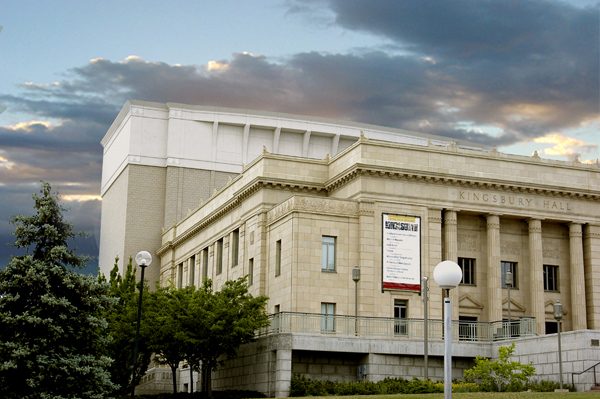 Design parameters included working with a multi-use group, the performing arts coalition and Salt Lake County. The main task for this phase was to accomplish two simultaneous goals for the owner. First, provide a theatre that works from a functional and aesthetic standpoint and second to insure that the second phase formed a bridge between the utilitarian aspect of phase I to a second phase makes the building more elegant in nature.